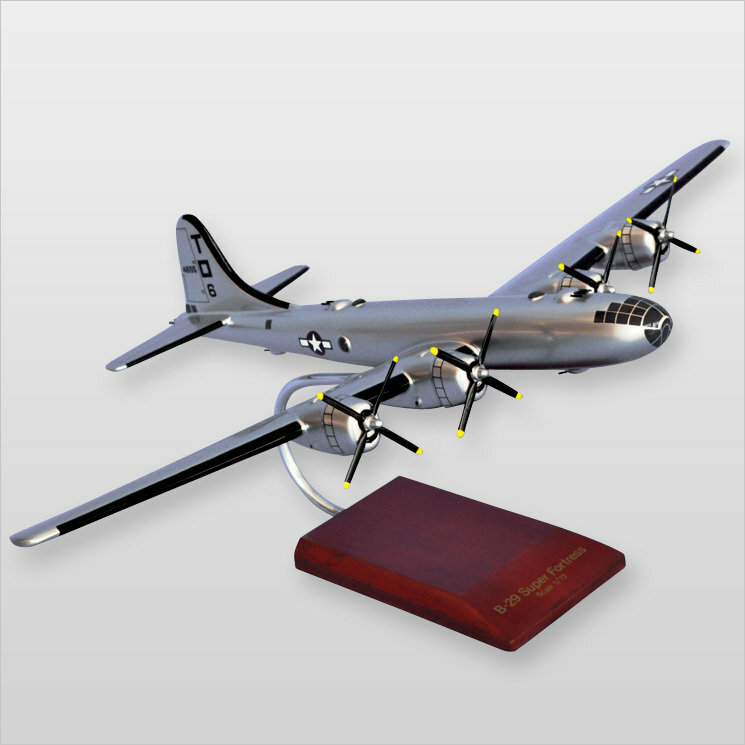 The B-29 Superfortress is a four-engine propeller-driven heavy bomber. It was one of the largest aircraft to see service in World War II and a very advanced bomber for its time. This specific B-29 model is painted as "Lucky 'Leven", Clinton Rogers' airplane. He was part of the 73rd Bomb Wing and was stationed on the island of Saipan; Rogers and his crew flew 39 bombing missions over Japan and other Pacific islands.